Most headphone users regard these basic pieces of equipment with more faith than is usually warranted. Those who care for more than just casual music listening will prefer being able to discern more and better detail in their favorites. If you are into hi-fidelity experiences and still have excellent hearing, you can benefit from methods that can raise the fidelity of sound that you currently enjoy. A decently dedicated amplifier is the obvious first step prior to getting a replacement for your headphones. These venerable devices work by driving input signals from audio sources with greater power and detail, increasing their resolution and volume. The models that serious listeners typically like will be capable of audio performance superior to that of with most mobile devices. While performance is the first consideration, you may well find that configurations and ease of use are just as critical in identifying the best headphone amp for your needs. It can be a steep and deep dive into the world of headphone amplifiers. But most listeners seeking upgrades will not be searching for newest exotic, tube-based design that might excite some but will not serve you too well. Most of us normally look at equipment that is as comfortable to use as they are affordable to own, without having to get too far into the technical differences between classic valve amplifiers and DAC-equipped hybrids. In addition to audio performance and value pricing, we count ease of control and flexible interconnects as decisive qualities. When considering which discrete amp to try, you should also be matching specifications between headphones and amplifiers in terms of impedance ratings, which we’ll cover further on. A number of valve and hybrid models in this review are comparatively pricey, but that is just how it “rolls” with designs that incorporate tubes. In any case, we have options for most budgets, all of which should noticeably enhance most listening sessions. We do not cover the fanciest electrostatic designs since these typically require specialized amplification that outputs variable amperages. Among the designs we checked out, there will surely be one that can perform as you require. A multitude of amplifiers is available in the market, with fans dedicated in multitudes to the more famous makes. It is not possible to recommend more than a small number, thus we handpicked a small few that we think will impress. Each one offers an experience that can truly satisfy listeners who take their music seriously. Finding the most optimized system for regular headphones can be quite a task. But if you desire the best headphone amp for your preferred pair of dynamic cans, one of the models reviewed here should be suitable. All are designed to convey your favorite music with amazing sound quality and enough ease. 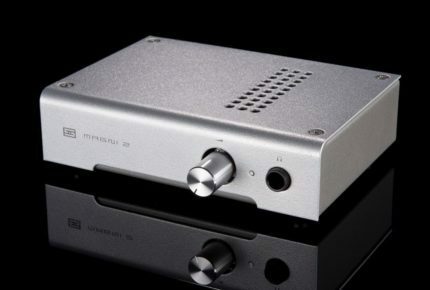 Schiit’s well-regarded name is popular with musical enthusiasts, its equipment is mostly named after various mythological figures from Norse sagas. The powerful Ragnarok was a strong contender for inclusion, but this model serves as a more justifiable option for dedicated headphone users. An unusual hybrid in that it is designed to transform from tube to solid-state operation, the Mjolnir 2 ideal for those who are willing to experiment with swapping out tubes. Its balanced output scheme enables greater performance and a less complex path through to the end, enabling quiet yet power-driven listening with the most sensitive headphones. Incredible gobs of audio detail and thunderous bass are presented with hardly any distortion and noise. It will be hard to regret buying one of these, other than for the lack of single-ended outputs. Some owners do lament the basic styling of the case, but the controls are more than serviceable. 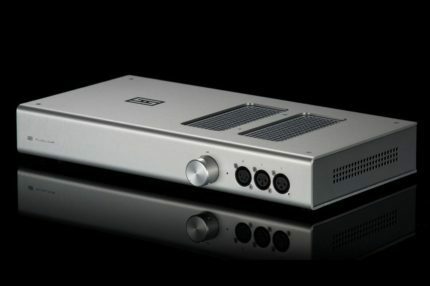 Schiit is not the only one manufacturer offering amps that we would recommend with little reservation, none is more respected in the audiophile world. The firm helpfully maintains a number of authoritative guides online, including a set for beginning music enthusiasts on the basics and best uses of headphone amplifiers. The solid-state processing offers the kind of straightforward enhancements that attracts serious listeners who desire hi-fidelity and yet pleasing playback. We recommend that try to hear for yourself the consistent performance that underlies its pure listening aesthetic. We believe that Schitt’s Mjolnir 2 presents the best combination of performance, build, and value that is within the reach of most audiophiles. A few fancier, higher-performing models may be more focused on specific uses, but those famous worthies are not likely to signify such an uncompromising and yet justifiable choice. The MZ2-S is the upgraded model of the highly regarded MicroZOTL 2 and this version continues to uphold its predecessor’s reputation. The earlier MZ2 has some things we would like to change, such as an on-off switch that can be a bit tricky to operate. But the company has addressed the issue and other niggling things, to the point that there is hardly anything to complain about. The external power stage isolates and reduces the generation of line noises. The quick setup leads straight to the enjoyment that the four valves on tap promise. Audio, as presented, is enriched and spread out within a rich and immersive sound field that must be heard to be believed. It is surely possible to find more sublime audio experiences at the very highest end. But this design even now delivers performance that is excellent for producing great music in regular settings. With the performance, looks, and ease of use that will meet and surpass most expectations, the MZ2- is all but sure to please. We believe it is among the very best tube-based options absent a DAC module, although buyers must be willing to order it direct from the manufacturer. You will pay far more than is the norm for the privilege of enjoying an MZ2-S, particularly as a discrete DAC will also need to be purchased. 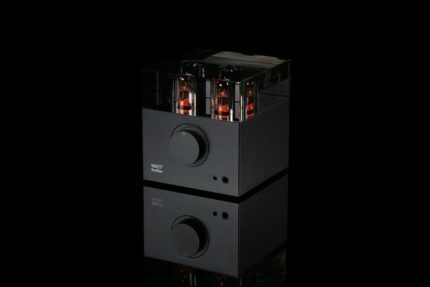 Still, no tube amplifier of this type can better express your favorite music with such intimacy and power. Woo’s Audio Wa7 is a great valve design with reasonabe priced for what it offers, with performance is superior to that of almost all dedicated headphone amps in its range. It is only superseded overall by Schiit’s Mjolnir as a result of a few minor issues. This second-generation model came from a company that knows how to deliver both winning style as well as performance, and it shows beautifully. We guess that this design was nicked ‘Fireflies’ due to the slick glass body that houses its set of glowing tubes. The powerful feature set is composed around a DAC that is fed by convenient USB as well as analog inputs. This is a Class A design that focuses on reducing noise and other distortions via the operational quality of its external power stage. It is also easy to swap the stock set of valves for more radical parts. All results in a performance that belt out a huge and stirring sound to enrich any track. This could well have been the winner if not for its slightly less profound musical presence. The very solid playback performance is rendered with few if any apologies. However, the stock valves of the WA7 did not seem to excel beyond conveying a very smooth and powerful response. The Mjolnir still edges this model, but only just. Others may well find that the WA7 represents the superior option, for it is an obvious choice of those who appreciate the tube sound of this series above all. Audiophiles desiring a DAC and amp setup that’s capable of remarkable hybrid audio will find much to like in this model. In our recent review of Sony’s top headphone amp, we discovered a superlative and flexible performer. As we came to know it better, we were awed by its hugely adaptable design and amazing performance. A huge variety of ports plus an advanced DAC module is incorporated into its large housing, among which is a port that is reserved for the company’s latest Walkman players. This studio-grade design offers different modes to suit various playback sources and settings. The analog-to-digital circuitry and discrete channel connections include XLR connections for more flexible arrangements of the kind found in studios. There is no question that audio performance remains the star of the show. Engineers integrated cutting-edge amplification circuits in combination with a top-flight DAC in order to yield sound with close to zero harmonic distortion. The accurate and extremely detailed sound that results is about as clinical as it gets. Sony’s DSEE system can be made to upscale lower-resolution tracks, while the amp stage is DSD compatible. Listening to DSD tracks with this amp is something you must experience just once, we think. In spite of the serious features, it remains very easy to set up and use. This model will offer the most to music enthusiasts who are already into purist tube amplifiers. But it is a truly superior choice for accurately expressing heavily processed and shaped digital tracks. We can see it being used in standalone monitoring tasks with specific high-end dynamic headphones. It can be quite hard to locate online, never mind at your local big box shop; pricing shoots through the roof as well. Still, these difficulties did not convince us to demote this model from very highest ranks of great models available to consumers. The hybrid sound of Sony’s TA-ZH1ES is not going to please everyone. But it will surely be a great alternative for those who can employ its added features while relying on its very revealing audio performance. 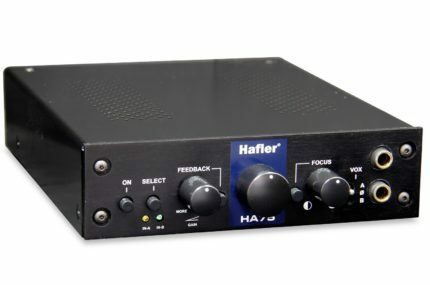 Hafler’s HA75 is among the more expensive amp designs that we have come across, but it offers a flexibility of design and quality that are second to none. The model is renowned for its ability to amplify high-fidelity recordings according to various audio profiles while retaining great definition. It may not be the most stylish model around. The casing’s boxy shape and black theme remind us of Sony’s more utilitarian designs. But once you’ve accepted its industrial looks, you will discover a tube amp that will alter your expectations of how personal audio gear can adapt to various sources. 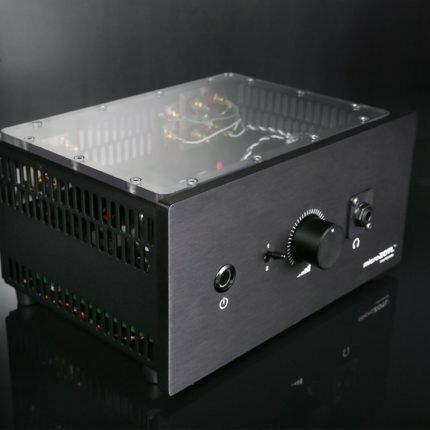 This is the only amplifier in this list that will enable you to precisely adjust for the desired valve-based feedback profile as it shapes the focus and spread of its stereo effect. It is also possible to swap among various Vox modes, enabling you to selectively highlight different sections of the audio spectrum. Such flexibility encourages users to continually optimize settings for every track they play. This is not the gear that will appeal to users who just desire simplicity of use or those who would roll various tubes to alter harmonics. Still, if you can persevere in shaping its signal profile, you will likely discover some really stirring experiences on your own. Other effective arrangements can also be had with balanced XLR and unbalanced RCA inputs, which will be an extra expense if you do not already use these types of interconnects. Those who would like something less involved can order the less expensive HA15, a more compact version that omits the Feedback function. All these features provide Hafler’s HA75 with some of the most flexible, high-quality sound profiling around. As an amp with a unique design that we believe can use more exposure, it earns its way in this review. Audeze is better known for their trendy headphone models, but they design some really nice amps as well. It is usually best to employ headphones from the same brand, but in regular mode, this amp is perfectly capable of driving any pair of dynamic drivers very nicely. 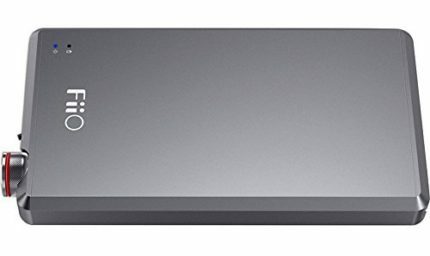 The Deckard is a fully Class A amp and DAC design that is housed in a rugged brushed-aluminum chassis from BMW DesignWorks. A mix of several features let it serve not only as a powerful standard amplifier but also as a speaker preamp, for which a handy front toggle is provided. Audio is rendered by its high-spec TI PCM5102A DAC with an almost-clinical purity that will emphasize every recording artifact. It cannot replicate the warm sound of tube circuitry, but its accurate presentation will put any music to the test. It can be depended on to clearly and smoothly highlight even the most subtle passages. Audeze’ Deckard is mightily preferred by a great number of enthusiasts. In its current version, it may not be able to match the performance of the very best regular designs, but it remains very much a contender in the top ranks. Not many solid-state designs can match what this unit is capable of producing, let alone at its reasonable price. Arcam’s rHead is capable of rendering music with an analog richness and clarity that will surely please. Even with our preference for the royal tube sound, we do hanker for solid-state action on occasion. So if you desire a transistor-based amplifier that is easy to use and performs above the rest then this belongs on your short list of choices. The operation offers no surprises, you just plug in the cable properly and then modulate volumes, for there is no USB input or DAC processing. Swapping between balanced XLR and unbalanced RCA inputs is readily done despite the near-absence of any other control apart from the gain knob on its face. It is as basic in operation as you can imagine. Audio output is amazingly clear and fluent, with a presentation that adds no discernible color or attack to music. We are compelled to claim that this model may well be among the finest solid-state amplifiers we have ever used. The transmitted signal is well isolated from the AC circuits, which works to reduce distortions and noises to the barest minimum. We believe that it will perform at its peak when combined with decent DACs, but even the use of inexpensive media players will lead to very good sound performance here. Sound quality is only outshone by the tube stages of the priciest valve and hybrid amplifiers. 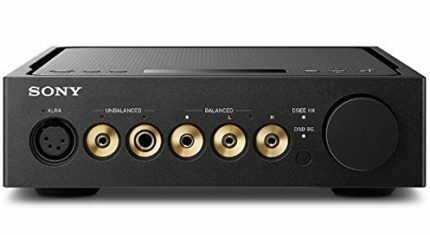 If you are looking for good but inexpensive amps that are designed for mobile or computer use, a smaller DAC-based unit with USB connection would probably better fit your basic needs. But if a massive analog sound upgrade of the fancy headphones you already own is in order, this offers one of the more sensible audiophile options available. The price of Arcam’s rHead is lower than of most valve designs that offer a comparable set of features and nominal output performance. 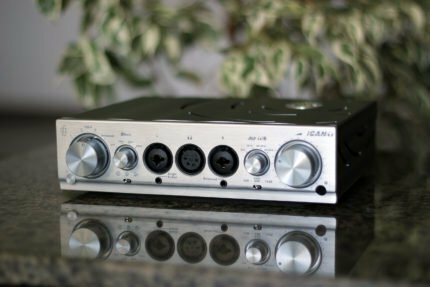 And as one of the best solid-state DAC amps, it is not too expensive that you may have to give up your dreams of affording a finer pair of headphones. Schiit’s Magni 2 may not present the most pin-point sound staging, but it will likely provide greater power and resolution than that from any media player headphone output. And that is what this popular model is to most buyers, a path to a more musical experience with your present audio setup. This and other of the company’s best amps have become a popular pick of music enthusiasts in the past decade. It offers loads of output power that can produce impressively high volumes. Many owners like to pair it with a DAC-based Modi 2 to upgrade the sound quality of headphones they already own. We have always regarded the Magni 2 as a good choice, which we found to be an excellent amp for regular use. This model and its higher Uber version are the only two completely discrete amplifiers in this range. Each also incorporates a novel amplification stage that relies on continuous negative feedbacks though the full sound spectrum, something which no op-amplifier features. As a fully adaptable design, you can connect a preamp or DAC with balanced inputs. About the only thing this solid-state model might lack is a separate preamp channel. The Magni 2 is an affordable indulgence since it is priced rather reasonably, especially when compared to the firm’s higher-end designs. As a bonus to those who will put the country first, nearly every part is designed and manufactured in the USA, with two years of warranty to seal the deal. It is, therefore, a most satisfying low-to-midrange choice of best headphone amp for stationary listening. 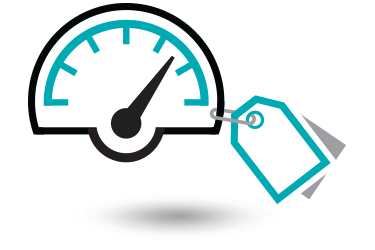 It’s hard to think of a model that offers better value for the great performance on offer. If you are presently using your pair of headphones without amplification and are exploring the world of standalone headphone amps, you can do much worse than Schiit’s Magni 2. JDS Labs’s Objective2 + ODAC model is quite an advance on an already great design from a renowned audio expert. Both the DAC and amplifier modules are integrated into a nicely-designed case. There’s a fat knob on the front face that mimics the control interfaces of professional mixers used in recording studios. This solid-state amp can drive a variety of popular headphone models while producing detailed audio that is both transparent and powerful. This is good when it comes to digital music sources that could use some digital redefinition with low loss, particularly as it can connect via USB. The superior features along with the rather low output impedances that range from 0.5 Ohm upwards makes this a very adaptable amplifier. This light and inexpensive model can drive almost any pair of headphones that is specified from 16 to 600 Ohms. It can handle small IEM earpieces with highly sensitive drivers as well as big over-ear models that are heavy on wattage, and it runs equally fine on either AC or battery power. Although we believe that it still cannot match the pleasing characteristics of the high-end models we reviewed here, it offers rich and detailed loads of slam at high volumes. In many ways, it will serve as a good DAC/amplifier package for the typical well-adjusted music enthusiast (which we are not since we are never satisfied for too long). Much thought has gone into the design, including the elimination of the tiny bump that sounds in regular amplifiers upon power-on. It more than holds in own in terms of audio quality and value, especially if you wear in-ear headphones, for which this model is well suited. 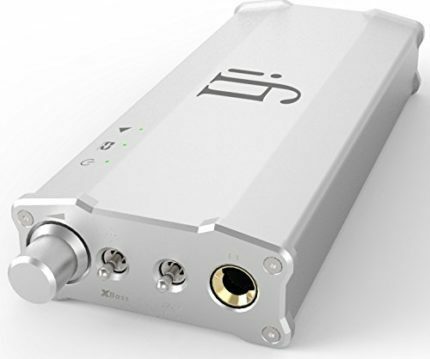 The Objective2 + ODAC combo from JDS Labs may not offer every feature present in more adaptable and pricier models. 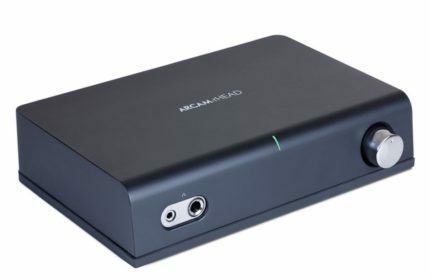 But if you are searching for a simple DAC plus amp package to rule both your desktop and mobiles, then this model is well worth a try. OPPO’s earlier HA-2 was a good idea, and the upgraded version enhances its performance while retaining its many virtues. This model’s lightness and portability as well great performance is the basis of its appeal. Owners of Android mobiles as well as iOS devices with compatible ports will especially agree. As a combined DAC and amp package that’s paired with Sabre’s ESS chip, the hybrid Class AB design runs very nicely. The clarity and definition of the output are superb and the mid-lows are solid, although a bit more bass might be in order. Users of the iPhone 7 and the Apple lightning-to-audio adapter that comes with it will be surely pleased with its superior audio quality. The great improvement in performance will be noticeable with most genres, particularly with high-end digital sources. Bass sections will be filled out with the lower extension of frequencies, lending more weight to your favorite heavy tracks. This amp will delineate extended higher frequencies to any extreme that your headphone’s drivers are capable of reproducing. You can also employ the pocketable unit as a battery bank for charging your stuff on the go, a versatile feature that very few other headphone amps offer. The integrated lithium-polymer battery pack can be recharged via the provided micro-USB cable and quick charger, which tops off the unit quickly for immediate reuse. The aluminum casing is lightweight and smartly sized to the same dimensions as an iPhone 7, with a build and machine finish that is superb. There is a thick and precisely-weighted knob for controlling volume, which satisfyingly clicks with a solid “snick” into the off position. 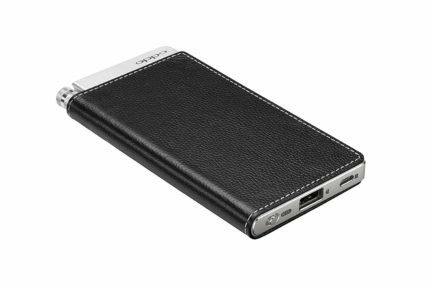 The addition of a leather cover is a nice touch that exudes the feel of a high-end mobile. Not everyone will take to its grainy executive look though, which we hope will last. The overall sound profile remains still characteristically neutral, with all bands sounding relatively balanced. For the price, OPPO’s HA-2SE is our pick for the best headphone amp for mobile use. This tiny model offers big and clear audio, with a low-range extension that is natural-sounding. The 3D effects will help to emphasize notes and voices that you might have missed in your favorites. Two cool modes are available to optionally shape sound, comprising a highly capable bass boost in addition to a 3D audio diffusion mode. The boosting of the bass notes is not the big thing going on here, the brilliance is also in how it performs. Typically, this feature can muddy things a bit if it bleeds low-range artifacts into adjacent frequencies. The mid low-range and not the sub lows are usually boosted as a result, which tends to degrade audio performance. But with the amp profiled on the low setting, a subtle enhancement of the lower sections can be discerned. Depth is added for solid lows that do not encroach the low-to-mid frequencies to any appreciable degree, as what happens all too often with similar bass boost schemes. Set on high, the sub-bass rumble greatly increases along with a slight boost to mid-bass sections, but everything remains more or less coherent and well-defined. The same cannot be said of the cross feed operation though, for it seems to slightly reduce sound performance. Higher frequencies do brighten but come off with a somewhat shrill tone. High notes still sound smoothest with this feature switched off. Perhaps we should nit-pick a bit about the gain controls, which are located at the unit’s bottom. These are miniature flip switches for changing volume, which means you will need to use a small screwdriver thingy to alter these settings. The control layout could probably use a bit more work as well. Another thing is that the case cannot be stacked with DAC units from the same brand, even though they may be identical in form. The rather uniquely shaped body can be seen as either somewhat idiosyncratic or weird, depending on whether you like its actual performance. For aside from its design and control idiosyncrasies, this is one of the best amps available to consumers. We much appreciate the rewarding qualities of this loaded Class A valve amplifier and those who are not into pricey esoteric gear are likely to agree. Audioquest’s pocketable DAC/amp produces remarkably clean, detailed, and grand sound at a relatively reasonable price. The earlier non-Red version was already well regarded and this new model can only enhance the reputation of the series. Not much has changed from the original design, although pricing has risen a bit and the audio performance along with it. Features and performance will not exceed that of pricier and more stationary designs, but the package can be a superb upgrade to a PC’s integrated audio subsystem. You can readily pocket and transfer it to different work and home systems as well. Finding a better mobile DAC and solid-state amp of this size will be the challenge, we think. However, it is not that simple to setup, if you desire the best audio performance that its chipset is capable of attaining. For that, you will have to experiment with downloadable codecs as well as different music players to extract the most out of its great DAC. We noted the absence of a line-in jack as this model meant to be plugged into the USB ports of computers and output audio via its headphone port. But if your favorite tracks are in high-bit-rate digital formats on your computer or network and a decent pair of headphones is at your disposal, chances are you will be very pleased with what it offers. 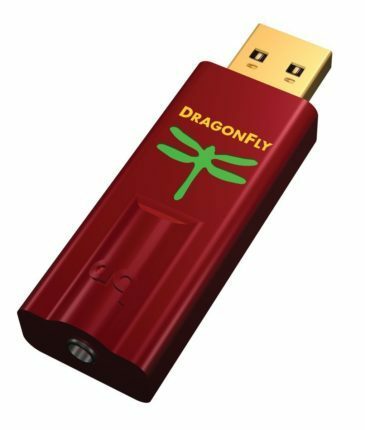 AudioQuest’s popular DragonFly Red remains a great choice for those who desire a simple plug-and-play upgrade for the built-in audio systems of their desktop or laptop computers. You would not ordinarily expect such a tiny USB-only DAC/amp to be this good, but the performance is anything but average. Audioengine’s D3 is a less expensive alternative to the Dragonfly for upgrading a PC’s sound setup. It will hugely upgrade the audio performance of most computers by improving the definition, clarity, and presence of stored or streamed audio tracks. The DAC profile is optimized for a smooth and mellow sound, blending the entire sound band with warmth and detail and without losing any resolution in the process. Musical lows will extend deeper and high notes will present with more clarity and definition as well. The tiny module is readily installed on any device where you can have the required standard codecs and drivers installed, which is nearly all of them. 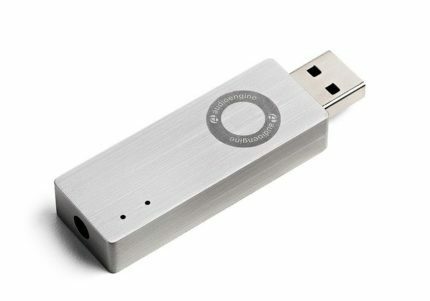 As a USB-powered external module, all sounds will be directed through it once you have plugged it in and finished any necessary updates. With the proper codecs, digital conversions of audio formats will be practicable as well. The company is already well-known for their speaker models, such as the wireless HD3. We believe that they have hit their target with this design. But, be aware that the module can get somewhat warm over time due to its internal power supply, particularly during extended use in hot conditions. To be sure, this tiny DAC/amp will not readily match the audio processing performance of the majority of higher-end models. Neither the feature set nor the build quality is to the very best standards. But the performance is quite decent, especially given the very budget-friendly price. If you rely on your desktop or laptop for musical entertainment and cannot convince yourself to spring for the much pricier Dragonfly, the D3 can be a worthy alternative. FiiO’s newest phone-sized model performs well and is a justifiable upgrade over the company’s earlier E12 model. There is sufficient power to drive most low-impedance consumer headphones, and the noise floor and channel balance are improved over that of the older version. Audio output is rich and solidly presented, with powerful and yet nicely-defined lows to round out the smooth processing. The combination volume and power-on knob are nicely weighted and the toggles for the low/high amplification as well as bass boost settings are easy enough to manipulate. Mobile amplifiers can be very convenient for enhancing listening in a variety of transient settings. That said, these battery-powered devices may not suit every serious listener. If you tend to listen while prone or seated at a desk, you should probably consider a stationary AC-powered unit with a cooler-running case. The FiiO A5 is designed for ease of use as well as portable versatility. As mobile audio accessories go, its features can make your musical life sweeter on the move. Bravo’s offering is as inexpensive as it gets for a decent Class A model. This compact tube amp can serve as a very affordable introduction to the world of hi-fidelity listening. The striking design integrates quality materials and parts that include a good 12AU7 tube with fine output properties. The result is a rich audio field that brings warmth and enhances the detail of the music. This is no perfect little amp, though, for minute amounts of distortion do emerge. The partly uncovered innards can also be subject to erratic hazards, such as the possible early failure of the vacuum tube. There is also the risk represented by the circuit board being somewhat exposed to the elements and indifferent handling. Still, the low cost of Bravo’s Audio V2 means you will not have to stretch your credit overmuch to afford one along with a matching good pair of over-ear headphones. If you are only entering now into the world of valve amplifiers, we cannot imagine a more reasonable way to start. When it comes to telling you which is the fairest amp of them all, we must enter the fantastical land that most listeners would consider out of reach. Given the stratospheric price tags and reputations of equipment at the very highest end, we are not particularly sure that the typical buyer would be seriously interested. But we can give you a hint of what the experience is like, for the sake of completeness. One thing though, these rarefied systems are usually designed as headphone-amplifier combinations. Nearly all feature ultra-sensitive electrostatic drivers that are justly famous for their ultimate potential but also require specialized amps. We will therefore not cover dedicated electrostatic amplifiers since the typical buyer will likely stay with more conventional setups. One does not simply plug fantastical headphones into mundane phones and expect magic to happen. These normally require highly specialized amplification for proper use. The fact is that if you have a pair of such “ultimate” headphones, you will also need to pair them with a matching high-end amp that is likely to be priced nearly as high. It will be exceedingly optimistic to think that you can just hop over to the local electronics store to secure these things. With that past, we look at the Blue Hawaii Special Edition (SE), which is designed as a set of two modules. There is the amp stage that is mounted in an impressive-looking metal case and hosts four vacuum tubes. A huge volume knob occupies the center of the control face. Then there is the power supply, housed in the more compact box that comprises the other module. For some reason, neither is designed to be stacked atop of one another. So, the entirety will require a generous amount of space. It can be safely assumed that owners will be more than ready to attend to this piddling requirement. As a hybrid type, the Blue Hawaii’s design incorporates a sophisticated mix of solid-state and vacuum tube operation. Audio wave forms are digitally refined as they are processed in the amplification stage, for eventual output via four Mullard EL34 vacuum tubes which are emplaced on the top side. This rare scheme explains the extreme cost of this amplifier; the extremely pleasing sound that comes out demonstrates this nicely. At such performance levels, what you gain each time you listen is a deeper involvement in those parts of your favorite musical passages that you may not have fully noticed before. Recording professionals know that there is only so much detail and character that can be conveyed through various signal paths with current methods. Factors such as music compression, questionable music sources, and low-performance drivers all affect the amount of audio resolution and fidelity that can be retained. Such considerations hardly apply to this amp, if at all. Much of the cost goes into wonderful physical design and construction, but in practical terms, what is being afforded is the ability to unleash the full musical potential of your favorite titles. If you are listening to a decent source such as an HD stream or high-end CD or turntable, then every recorded detail will be accordingly present on playback. Songs that you have long been familiar with will likely exude new elements that you have never noticed. Nuances heretofore submerged in the recording, such as new notes or vocal artifacts, will appear within a more richly textured and immersive sound stage. Of course, a superlative pair of regular headphones will be a necessity if you want to extract the most from esoteric gear of this caliber, such as the very highly-regarded Stax SR-009. A small firms that manufacture in periodic batches, HeadAmp does not have much stock on hand. Buyers who desire to order may have to wait a bit before the company can fulfill their order. Pre-ordered shipments are possible, but it will take some effort to secure one of their more popular products. These availability issues along with its eye-opening price prevailed on us to rule this admittedly magnificent design from normal consideration. Be as it may, such difficulties go with the cachet and fun of the audiophile’s journey. If you are determined enough to acquire one, the hunt is likely to be as satisfying to prosecute as its fulfillment in your listening den. We all have our own ideas of how a decent set of headphones should sound like with good audio sources. Those who try high-end models for the first time can be amazed by the greater intensity of the experience. An amplifier that enables better listening has to be considered for other than its audio qualities alone. Top headphones already deliver dynamic definition and precision that exceeds that of most speakers, owing to the fuller immersion and the lower harmonic distortion afforded by their scaled-down channels. Properly-matched amplifiers can further enable audio quality that compares well with the best audiophile stereo speaker systems, at the lower cost even. 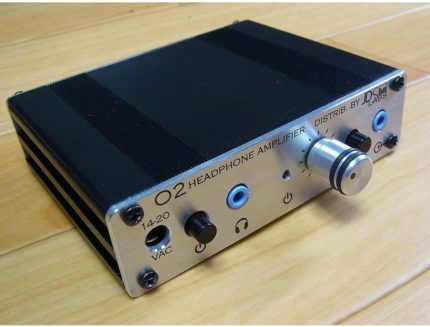 A headphone amp is basically a compact unit that is meant to drive miniaturized speaker elements. These amplifiers are most useful when paired with some high-impedance, high-draw audiophile designs that can take advantage of cleaner power outputs of standalone amps. Detail definition and range extension are dynamically enhanced for higher precision in general. As headphones are typically employed with mobile devices, portable amplifiers are continually being developed for use with phones and tablets and other portable media players. A number incorporate digital-to-analog conversion circuitry (DAC) as well as USB connections for sourcing digital content from computers or audio consoles. A few offer coaxial and optical ports for greater flexibility with a wider range of sound sources. We believe that every serious listener can use a dedicated amp to maximize the potential of their preferred headphones. Because these are essentially tiny speaker units, additional clean amplification is critical in conveying audio with the kind of enhanced quality that you can actually discern. The sad fact is that most headphones are not used to the fullest effect. Most users tend to plug their cans right into their phones or another device, for the simple reason that almost all personal music devices already integrate tiny amplifiers. Mobile devices generally work and sound passable just the same. However, far nicer results are likely if you are willing to use a dedicated amp that is designed and tweaked for the purpose. The main point of a separate unit is to bypass existing audio transmission channels that are typically underpowered. The majority of headphone amps are designed as boxy modules that interface between your headphones and existing audio sources. After plugging your pair of cans into an amplifier’s outputs, you then connect its inputs to the analog or digital audio outputs of a mobile device, computer, disc player, or another audio source. The sound content is therefore physically transmitted and often digitally processed along the signal path via the amplifier before it arrives at your headphones. This processing typically results in a more powerful and enriched, fuller sound. It is not only that the resulting audio sounds louder, it will usually sound less distorted and much nicer at higher levels of volume. That said, please realize that we are not proposing that you listen to your favorites at raised volumes. Doing so could well damage your hearing in the long run. Discovering what is involved in these methods can lead the discussion along highly technical lines. A great number schemes are possible for altering what is known in audio engineering as signal paths, some of which can be very unconventional or obscure. Basically, the innards of most amps normally comprise a mix of valves, tube parts, and other analog components. These collective interoperate to enhance the signals being transmitted from the source to the miniaturized speaker elements of headphones. The processing shapes the audio signal pattern in ways that highlight certain frequency bands according to the designers’ preferences. This is why audio signals coursing through a decent headphone amplifier can sound far nicer after processing. With pricier headphone models, the use of an additional dedicated amp is likely to be justifiable. High-priced models that are capable of superb performance will also better expose any recording flaws in your music tracks, especially in the types of highly-compressed digital streams that course through mobile devices. As well, that level of definition and clarity is more appropriate for headphone use in many cases. 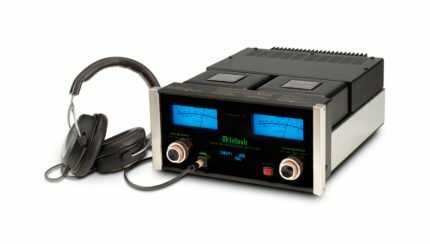 Although a small number of high-end headphone designs do need an amplifier for proper operation, most decent ones can take advantage of the additional enhancement to some extent, particularly when it comes to mobile audio. That said, an amplifier is not normally required for use with the majority of regular headphone models that are priced below two hundred Dollars. 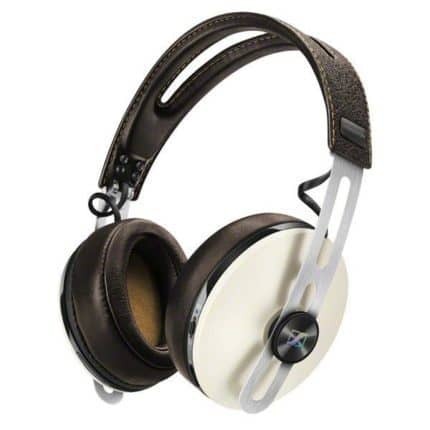 Further amplification and processing are generally not needed with most current noise-canceling headphone models. The processing done by the circuitry of these specialized headphones is normally self-contained and customized to their purposes. In almost every other case, we normally recommend the use of dedicated amps. Technically, the main point of employing a discrete amplifier is to further isolate audio sources from the changing impedances of headphone transducer elements. Integrated output amps or speakers can have weak yields, whereas more powerful amps are usually more resistant to the effects of variable impedances. A more powerful amp can generate signals with more volume and no clipping, which is what happens once output voltages or currents reach the maximums that the amp is capable of supplying. This is essentially the technical rationale for employing external amplifiers. Another point to using external amps is that these can be useful for altering audio signals in a manner that is not ‘natural” and yet would be pleasing to your ears. The textbook case is tube amps, which typically output audio signals with more harmonic distortion than transistor-based designs, but do generate more even-ordered harmonic effects that can sound more refined. Similarly, valve circuits that are driven to their limits are more likely to generate fewer undesirable distortions in comparison to overdriven transistor circuitry. Even-ordered distorted harmonics sound nicer to many ears because these can convey musical passages with a more harmonious presentation. Typically, secondary harmonics comprise single octaves above primary tones, while fourth-level harmonics are two octaves above and sixth are three octaves above, etc. As amplification or gain rises, valves will start clipping the upper signal halves of audio patterns before their lower halves. Such asymmetric distortions result in the production of even-ordered harmonic distortions and such audio artifact generation is usually referred to as overdrive mode. Solid-state or transistor circuits are more likely to allow symmetric clipping of the lower as well as upper signal halves of audio patterns. Such symmetric distortions lead to odd-ordered harmonics. Nearly all will be generated at frequency ranges that are not musically associated with the passage’s fundamental tones. These types of artifacts are typically referred to as undesirable distortions, which can be more obvious in genres such as heavy metal. Most music enthusiasts will generally accept even-ordered harmonic distortions as pleasing artifacts while treating odd-ordered harmonic distortions otherwise. Many enthusiasts take the stand that analog audio, particularly tube-based, can generally sound “nicer” than that produced by digital conversion. They are actually implying a personal preference for the careful addition of some amount of even-ordered harmonic distortions to musical recordings. Digital audio schemes tend to inject few if any small distortions and can be designed for the more precise rendering of transmitted signals. A great number audiophiles believe that digitalized reproduction does not present most music fully, due to the near-absence of the even-order harmonic distortions that they find pleasing. This explains why aside from track recording professionals, many mastering and mixing sound engineers will apply enhancer or exciter effects, using devices that are mostly hyped-up generators of even-ordered harmonics. Minor audible interference of the crackling type that tube users hear on occasion are almost certainly microphonic artifacts produced by the vacuum tube in operation. Valve models are frequently packaged with less costly parts in order to lower their delivered price, thus in most cases, it would be best to replace the stock parts as soon as practicable. Do Pricier Amplifiers Produce Nicer Sound? 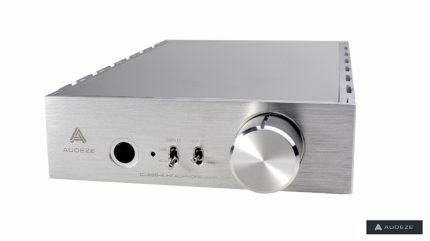 Usually, the higher the price of a headphone amp, the more likely it is to feature a component set that enhances and amplifies audio with the least distortion. This does not apply in all instances, though. We are all for having the finest possible listening experiences but do not recommend using price differences as criteria for rating the quality or desirability of models. For that, you will need to consider various aspects. High-priced amplifiers are normally capable of conveying a much nicer sound, but these types are rarely portable and most come in large or ungainly housings. Many also tend to integrate fragile parts such as glass vacuum tubes that are subject to comparatively elevated rates of failure. The high prices of the highest-end designs mean that they incorporate materials and characteristics that you may not require or particularly care for. For example, you might not be searching for functions such as bass boost, in which case it would make sense to restrict your choices to more basic models that do not have such premium features. Various amp designs feature different internal circuitry, therefore you will need to consider which is best for your needs. 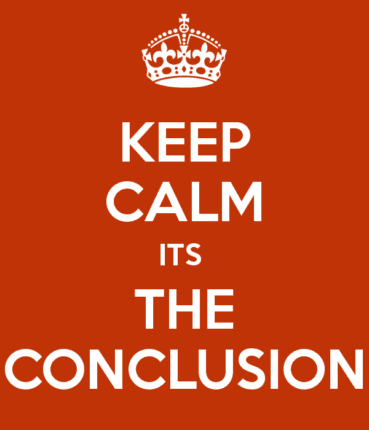 The decision is not as challenging as you may have been led to believe. In the end, what matters is to determine the type of sound that suits your fancy. Valves are the cylindrical glass tubes that glow when powered on. They complete the path of sound circuits by enabling electrons to spin and radiate in the vacuum, which provides for a number of effects. Most schemes that integrate old-school valve technology will produce highly musical output enriched with analog artifacts that infuse warmth and harmony in the performance. A huge number of listeners find this characteristic to be highly addicting. However, such tube-based designs normally exhibit temperamental operation. Valves eventually short-circuit, break, or at times just degrade in overall presentation. With extended use, these will eventually need replacement at some point. 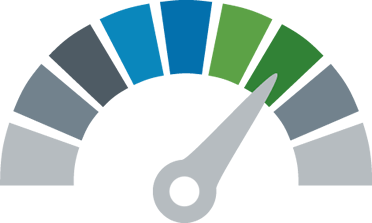 Although these issues do not occur too frequently with modern designs, the variable nature of such analog-based designs will need to be weighed, if you wish to justify your purchase over the long run. With valve amps, you should also consider whether a model is designed to allow tube rolling. This is the arcane practice of swapping stock tubes with various replacements and upgrades, in an effort to tweak the output profile to one’s liking. This hobby can involve much time and costly trial-and-error and is not for everyone. In this article, we do not cover methods of selecting and swapping out vacuum tubes. The effort would invariably lead to involved explanations of the differences among Chinese and Russian types. 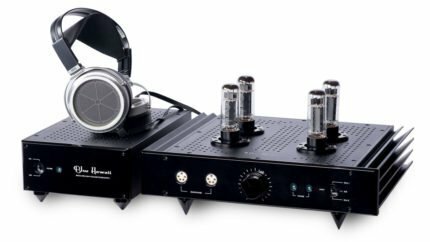 An entire complex terminology has evolved around this obscure set of methods, which we think will not add much to a general article on the best headphone amp. Solid-state designs do not utilize vacuum tubes. Instead, these incorporate more modern electronic circuitry to perform the signals processing. By nature, these do not apply by default the warm musical characterization of valve-based schemes. However, solid-state amplifiers are well-regarded for their generally higher reliability as well as an intrinsic capacity for signaling schemes that render more detail with greater “clinical” precision. Hybrid schemes rely on combined stages that are reliant on valve operation to pleasingly shape their output signals, as well as on solid-state processing to inject more power and with less distortion. We do not think it is our place to point out which method is generally best, for it all depends to a great degree on personal preference. All we can do is encourage you to audition as many types and versions as you can fit within your free time and budget. It is a good idea to check the impedances of the headphones you are considering for use. These should be indicated on the specifications sheet of each model or else on the manufacturer’s related site. The suggested impedance metric for the amplifiers you are looking at should then be matched more or less. Statistics for the various designs in this review are listed for this purpose. Things should be fine so long as your favorite headphone’s impedance falls within the optimal impedance ranges of the amps you are considering. Certain manufacturers are remiss in not providing the information, though. Still, every one of the amplifier models we have reviewed here should be able to drive headphones that operate within the range of 15 to 300 Ohms. This means that, except for cheap and nasty earbud models, the majority of current headphones should work just fine with every listed headphone amplifier in this review. We do not think it is worth the trouble of strictly matching amplifiers and headphone models according to sensitivity and also the amount of amplification needed to attain acceptable volumes with your headphones. Every single amplifier here should be capable of cleanly driving just about any good headphone model at appropriate volumes. Besides, you are more likely to impair your hearing if you attempt to generate more volume than is necessary. It is far trickier to optimize room amplifier and speaker choices than it is to properly match amplifiers and headphone models. Thus our recommendation remains for you try samples of various models, for you to appreciate just how each combination with your current headphone will sound like. Digital audio content must first be converted from binary formats before being processed into physical sound waves that you can actually hear. Devices that perform this require DAC circuitry programmed for optimal conversions, and the majority of digital media players will have this feature already integrated. It explains why these days, you can readily hear recordings stored on your computer or streaming from the network with excellent performance and quality. We usually suggest having these tasks offloaded to a dedicated DAC processing module. Many of the units reviewed here already feature a built-in module for greater convenience. If you decide to use a discrete processor, there are many nice ones that do not cost too much, such as the less expensive DAC modules from Schiit. Noises problems usually stem from other devices in the system or from room wiring. We have a few tips that can help with resolving humming or buzzing in the signal path. Try plugging your sound and theater gear into the same electrical circuits or outlets. If the noises persist, turn off every component while disconnecting RCA and other audio cables attached to each speaker. After turning on the system, if humming or buzzing can still be heard then try plugging amps and speakers into different circuits or outlets. Noises stemming from power wiring are typically resolved with power line filters, which are designed to suppress voltage hum. If the noises disappear while disconnecting the cables, these are likely due to problems in other components. Reconnect every component to each speaker/subwoofer one at a time, while checking for the humming noise. Any part that hums upon connection is probably the source of the problem. A ground loop isolator is usually recommended for resolving these types of path noises. Portable heaters or dehumidifiers are also known to introduce noises into room wiring that can be picked up by speakers. Lamp dimmer switches, cordless phones, or wireless routers located near each speaker, are all possibilities as well. Other overlooked sources of noises are satellite or cable TV coaxial cables. If the previous steps did not resolve the problem, try disconnecting the cables from satellite or cable boxes to all TVs. The humming noises will disappear if the problem is with the cables. Inexpensive isolation transformers are normally recommended to resolve this problem, these units are connected in-line with the affected cables. In most cases, simply plugging equipment into different AC outlets, attaching power line filters, or moving cordless phones or wireless routers away from each powered speaker will usually suffice. It is possible to commit several hundred if not thousands of Dollars to high-end models of the kind lavished attention by audiophile reviews and gear sites. But such exclusive equipment is not typically available to most consumers. Some high-end brands offer range products that may include premium models (or for studio work, “prosumer” stuff) featuring performance and style that is not too far from that of more esoteric items. The latter are not always designed and built with the needs or expectations of most serious listeners. So it is likely that you can find complete and lovely satisfaction with good gear meant for lesser mortals. 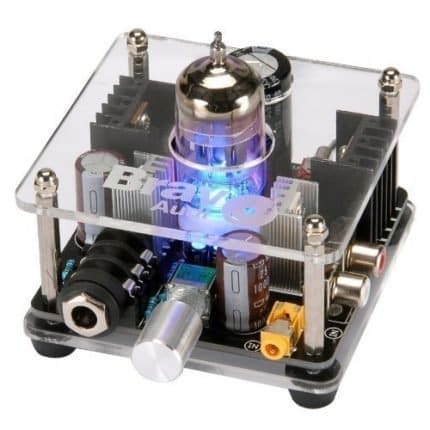 Those searching for the best headphone amp can select from any these designs with much confidence. So long as you have established your preference for solid-state or tube schemes or some hybrid thereof, you can be assured that one of these will complement your headphones. One inexpensive upgrade to typical mobile media players is OPPO’s HA-2SE Portable Headphone Amplifier & DAC. Rivals may match it in pricing and sound performance, but this popular combo amp and the battery pack have the most practical mix of portable ease and quality. It is our pick for the best mobile headphone amp. Many like to listen to their favorite music with their headphones connected to USB-equipped PCs at a desk or on the go. A flexible and yet high-performing headphone amp with USB input and DAC-based output will provide the dedicated performance they require. We think that AudioQuest’s Dragonfly Red is a good choice for desktop PC audio upgrades. But surely, there will always be those comfortable times in some private and relaxed setting when only a classic amp can suffice. We found the company more modest Magni 2 to be an affordable yet decent solid-state model for those testing the field or on a budget quest for greater musicality. Lovers of the tube sound may be aware of the Woo Audio WA7 as offering the most harmonious musical experiences available. If you listen to involving passages in highly dynamic genres, you are likely to be moved by its enriching performance. With the possible exception of Linear Tube Audio’s MZ2-S (and magical setups represented by the likes of HeadAmp’s Blue Hawaii), it outdoes other tube and hybrid designs in the sheer joy it can bring, and remains our choice for tube sound aficionados. If you read this story and liked it, do let us know what you think of our reviews of the top rated headphone amplifier models.